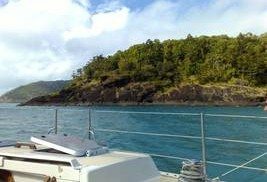 Luxury yachts with all-inclusive deals have often attracted tourists across the world to sail through the blue turquoise waters of Australia. The blue waters and non-stop coastline in Australia along the Indian Ocean or the Pacific attracts thousands of sea-lovers. If you enjoy hopping from one spot to another and have a desire to see the country’s landscapes, ethos, and natural habitat you should book an all-inclusive package trip in one of the luxury cruise liners. Some travellers choose a working holiday to enjoy a long holiday in the country. Although, they might be booking a resort ship or an expedition cruiser, yet they earn their pocket expenses during their “destination sampling” or short visits to the shores. Hundreds of years back, foreigners from other continents migrated to Australia in ships. Naturally, maritime activities have been one of the prime vocations of the people. Tourists today, enjoy underwater sea, water sports, and beaches in Australia. While on a cruising trip, you can indulge in underwater scuba diving. There are PADI-certified experts to guide you through the beautiful corals where thousands of marine life thrives. When the ship docks at prominent harbours, say in Sydney, Darwin, Keats, Cairns, Flinders Lake, and Victoria you can check out tourist spots, eateries, opera houses, or national parks in these places. Travellers get the opportunity of visiting the Outback of Australia and pristine natural habitat of Darwin. Holiday with a little bit of work can work wonders for foreign tourists. For instance, you can stick along for 12 months in Australia on a Working Holiday visa. A Tourist visa will only allow you to stay for 3 months. Some tourists write travel stories or click some captivating photos of the corals. If you are a videographer and can also swim undersea, you can earn hefty amounts as a photojournalist or contributing photographer for a magazine on environment or marine life. Part-time jobs are also available to help in the catering services of the ship you are travelling in. You can be hired to join the cruising crew team where job will include entertaining guests, housekeeping, or keeping a track of a database. Temporary works are also available in travel agencies where you may be required completing some paperwork on various trips organized by the agency. Ships often dock at ports that have national parks, bird watching enclosures, or reserve forests. Perhaps you can help in various conservation projects while taking a trip to these spots. If you can swim or dive in the sea, you can take up deep sea conservation projects. Many are surveys while some include collecting objects for research. Fun, entertainment, and enjoyable activities are the in thing for travellers who wish to cruise along the coasts of Australia. If you are ready for a perfect working holiday while sailing in the blue waters of the country, write to us for useful leads.